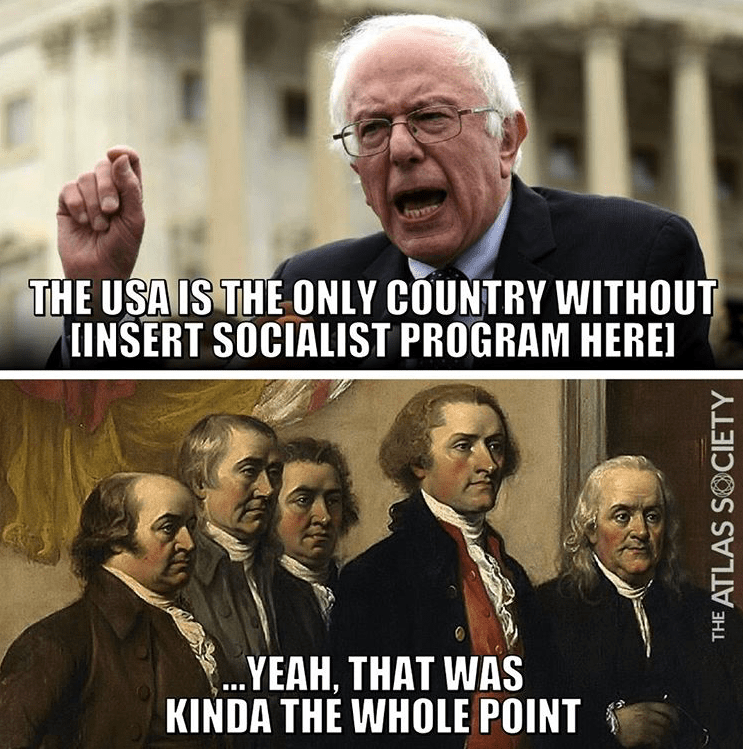 I’m not a fan of Crazy Bernie, to put it mildly. His policies would turn us into serfs and condemn people to poverty and deprivation. But the silver lining of that dark cloud is that he is the unwitting source of some great humor. And that’s our topic today. We’ll start with a brutal tweet. 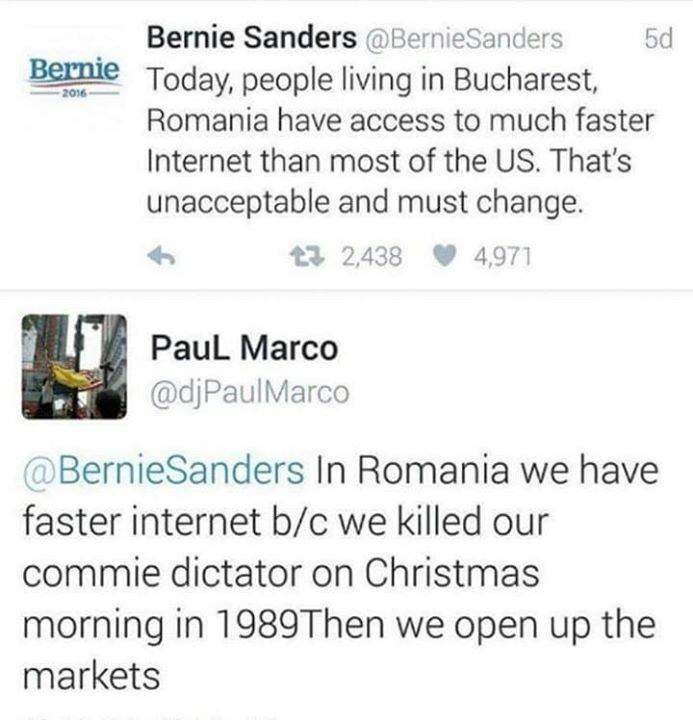 I don’t know @djPaulMarco, but – as the youngsters say – he dunked on the Vermont Senator. Next we have some politically oriented humor. I like to think this isn’t what really motivates Bernie’s young supporters, but you have to wonder what’s rattling around in their heads. Sticking with the political theme, Ms. Ocasio-Cortez (who also is a great target for mockery) technically will still be too young to be on the ticket in 2020, but this bit of humor aptly describes the direction America will be heading if the so-called Green New Deal gets imposed on the country. 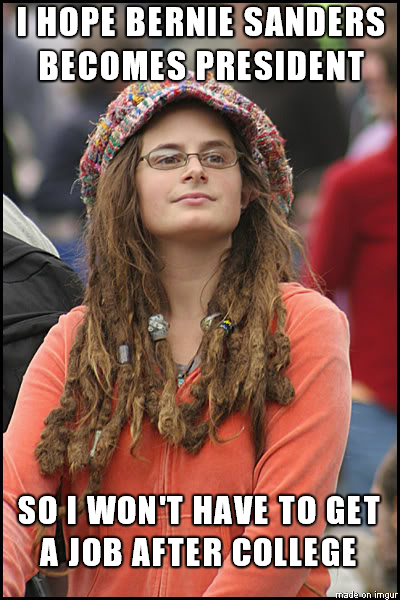 And since Senator Sanders wants government-coerced equality, I’m sure he’ll support this idea. Especially since the DNC did this to him back in 2016. The same principle apparently applies to yard signs as well. Now let’s shift to public policy, though this next image also illustrates the socialist approach to vote buying. In any event, it captures the essence of socialist economics. A good theory, until there’s nobody left to do the buying. 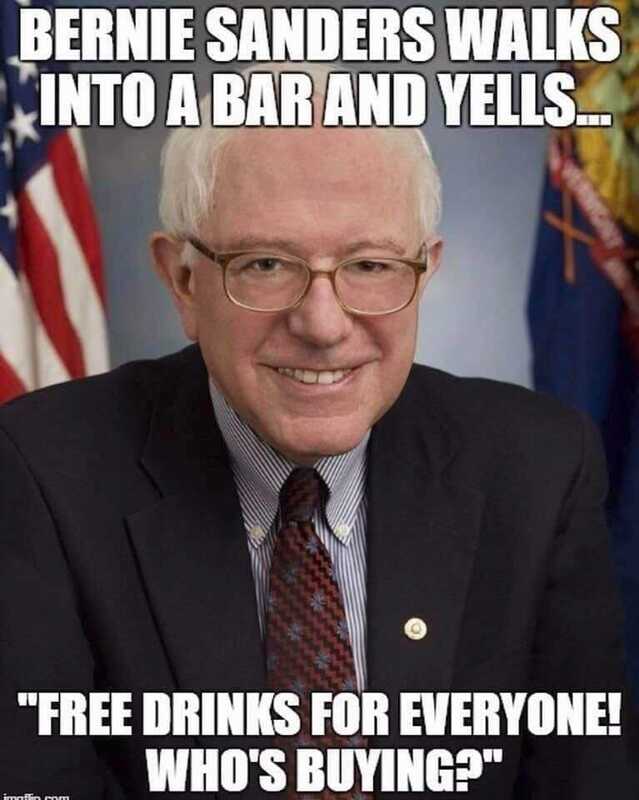 Speaking of drinks, here’s a Bernie special offer. I’m also a huge fan of this clever satire. Very appropriate to close with this item given what I wrote last weekend. For other examples of Bernie humor, you can click here, here, here, here, here, here, here, and here. now…….. who is willing to pay extra to have your car rat you out to the government?